Here is an almost impossible to find high quality upper bearing for the model C, B, and A Rexair cleaning system. If there is an option to keep your 50 - 70 year old Rexair up and running, then we want to be able to provide it. 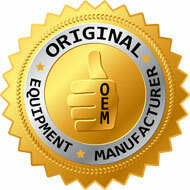 We give free technical support for all parts purchased from us.